Purple Wiseman Child Costume;This Purple Wiseman Child Costume includes a purple robe with shiny gold accents, a matching arabian-styled headpiece, and a coordinating gold shiny sash. The religious child costume is great for church, Christmas, and Easter plays. 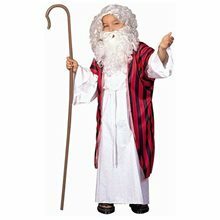 Child Wiseman costume is a great biblical costume for Holiday plays, Nativity scenes and school functions. Blue Wise Man Child Costume.Includes: Hat, robe and belt.Available Size: Child - Medium (8-10), Child - Large (12-14). (See Size Chart For More Information)*Sandals and Accessories Not Included.WARNING! : CHOKING HAZZARD - Small parts. Not for children under 3 years. 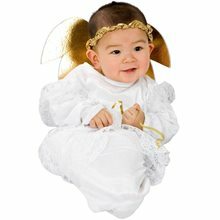 Biblical Times Jesus Child Costume.Includes: Under robe, belt and robe.Available Size: Child - Medium (8-10), Child - Large (12-14). (See Size Chart For More Information)*Crook, Wig, Beard, and Sandals Not Included. Accessories Sold Separately.Celebrate Christmas with this Biblical Times Jesus Child Costume! Also can be worn as Joseph. A great addition to your nativity or Christmas pageant. 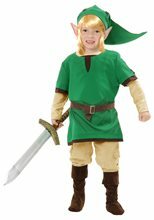 Wiseman Child Costume.Includes: Robe, belt and headband.Available Size: Child - Small (4-6), Child - Medium (8-10), Child - Large (12-14). (See Size Chart For More Information)*Staff Sold Separately.Complete your nativity with this Wiseman Child Costume! A great way to get into the Christmas spirit!